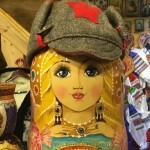 Incorporation in Russia in 2019 - all you need to know! The most common legal entity foreign companies choose to set up in Russia is an OOO, the Russian equivalent of an LLC. The minimum Charter capital of an OOO is 10,000rubles, which is about $174, according to the current exchange rate. If you look up Russian language information about the most effective way to open a business in Russia, they usually mention one other possibility, which is that of the Self-employed Entrepreneur (Индивидуальный Предприниматель). This structure allows a person to engage in business without setting up a legal entity. I will not discuss this possibility in this article because establishment as a Self-employed Entrepreneur for foreigners from visa countries is generally regarded as impossible. Essentially, there is not a straightforward prohibition in the law, but in order to able to establish oneself as a Self-employed Entrepreneur, you need a registration of your place of residence in your passport, as is common with Russian internal passports. A foreign citizen from a visa country can only get such a stamp if he obtains, at the very least, a temporary residence permit in Russia (разрешение на временное проживание). Since the number of foreigners to take this route is rather small, I will not discuss this matter further in this article. However,if you are interested in this option, drop me a line. If enough people are interested, I might write another blog post about it. Once you have chosen to establish an OOO in Russia, the next logical step is to choose how you are going to name it. According to art. 4 of the Russian Law on OOOs, an OOO is required to have a long name and also allowed to have a shortened name in Russian. In addition, it is also allowed to have a full and shortened name in a foreign language. The full company name in Russian should specify that it is a company with Limited Liability. You cannot use the words Russia or Russian Federation in your firm name, nor related words or terms. The only possible way to use these terms is after a competent State entity has given you permission to do so. It is not easy to get this permission. It’s also not allowed to use names of federal entities of the Russian Federation. For example, you are not allowed to call your company Advisor to the State Duma of the Russian Federation. You are also not allowed to use the full or shortened names of subjects of the Russian Federation in your firm name. All of these prohibitions are understandable, of course. The State does not want a private party to act like the State and, in this way, get an unfair competitive advantage. Actually, in Russia, a lot of companies try to act like they are at least somehow allied to the State. You are also not allowed to use firm names that go against the public interest and/or the principles of humanity and moral standards. I will refrain from giving an example here. According to Russian Law, an organization has to have an Executive Member, normally this is a General Director. The Executive Member acts on behalf of the company without a Power of Attorney (PoA). He is also the one who gives out orders to appoint employees to a certain function and signs labour agreements with them on behalf of the company. If you would like to appoint a foreign national as a Director, you should keep in mind that he will need a work permit in order to fulfil this function. Since you can only apply for a work permit once the organization exists and the application itself is a time-consuming matter, it is advisable to appoint a Russian citizen when you create the company and then later replace him once the foreign national has received his work permit. Alternatively, a Russian organization could serve to be the Executive Member of the organization by becoming its Managing Company. Van Rhijn & Partners offers this paid service to all clients that make use of our incorporation service. This way, you avoid breaking Russian migration law. Recently, the Russian legislature has introduced the possibility of having two more Executive Members (Directors) in a company. To do so is not (yet) widespread practice, but it is possible. Unless the charter clearly states otherwise, each one of these Directors will be able to sign legally-binding contracts on behalf of the company on his own. The new organization also needs an address. As you might be aware, in Russia, organizations tend to have two addresses: a legal address and a factual address. Although the law does not mention the term “factual address,” this term supposedly came about because Russia’s laws don’t always match reality. So, even though this practice of legal and factual addresses is widespread, it’s not legal and therefore not recommended to be located anywhere other than your official address. State institutions will ignore your factual address, and they will send their correspondence to your legal address. The Russian Tax Office, which handles the incorporation of OOOs, takes a very strict approach to addresses. 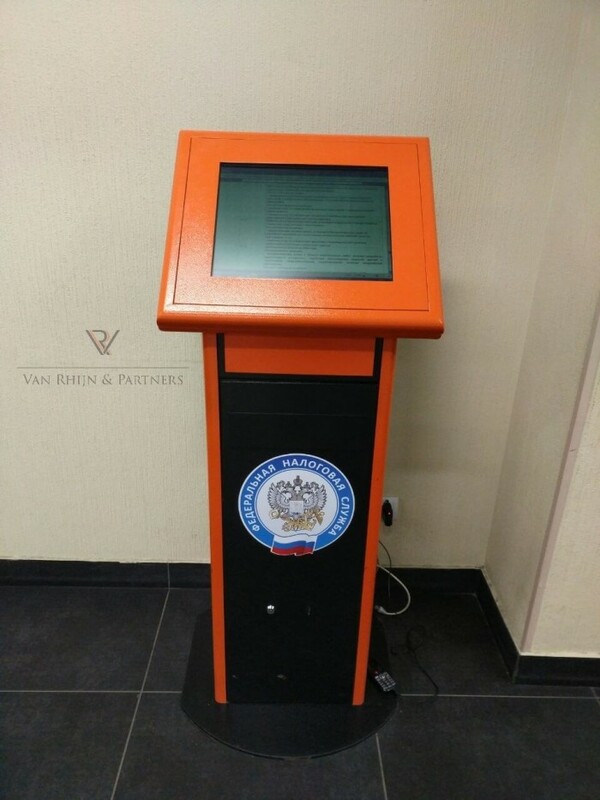 Last year in 2017 in Saint Petersburg, they started clamping down on so-called rubber addresses, which are addresses on which such a large amount of companies is registered that they have to be made out of rubber to be able to do so. In practice, this means that it is not clear that, when you are offered to rent a nice office, that you are allowed to register your company there. You have to explicitly ask whether this is possible, and without the cooperation of your landlord, you just cannot do it. It’s also not unusual that fees for offices without a legal address are significantly lower than those for offices with one. Also, for an office with a legal address, it is often required that you sign a contract for a duration of 11 months. Eleven months is another Russian peculiarity. Contracts involving rent of a real estate object for a period of one year or longer should be registered, and very few landlords want this. If they do agree with this, you can count on another significant increase in the price and less favourable conditions of the contract. But, as I mentioned, the law does not use the term “factual address.” Nowadays, it uses the term Location (in Russian: место нахождения). According to the law, this Location should coincide with the place where the executive member is located, or in his absence, where another person is located who is authorized to act on behalf of the legal person based on the law or another document. Anyway,before your company is created, it cannot enter into a rental agreement. The Tax Office is not prepared to just take your word that you have agreed to rent the place from Landlord X after the Company has been created. So, what you do is file a so-called guarantee letter with the Tax Office. This is a letter that carries the official seal of your landlord and gives his consent for registering the Company at his address. Mind you, the Tax Office is not officially allowed to ask for this document but in practice, you cannot continue without it. If one of the Founders of the Company owns the place where the OOO will be registered, a guarantee letter is not required. On a positive note: in the last couple of years in Russia, you just need to write the place of registration (i.e. the city, town, or village and not the detailed address) of an organization in its Charter. So, now we no longer have to change a company’s Charter when changing its address. As in other jurisdictions, in Russia, a company’s Charter is its main document, its own law, so to speak. So, it goes without saying that you should pay close attention to its content, maybe not so much if you are sure that you are always going to be the sole shareholder. However, you really should not underestimate the importance of this document in Russia. When you do business in Russia, you will find that companies you work with will often want to see your Charter. In the Russian Registrar of Legal Persons you can find information about when a Company changed its Charter. Several Russian ministries are currently working on a so-called “standard Charter” (типовой Устав). When this standard Charter is officially accepted, new Founders of a company will no longer need to draw up their own Charter, they can just say that the standard Charter will apply to their company. Thus far, no such standard Charter has been adopted. So, you will have to draw up your own document. Van Rhijn & Partners does keep its own database of Charters, so we don’t need to draw up a Charter from scratch, and that way, we save our clients money. We always provide bilingual documents to our clients, and especially with the Charter, we make sure they have read and agreed with all the provisions in it. If you want your firm to have a Board of Directors (BoD), its capabilities must also be defined in the Charter,as well as the way by which its members are to be appointed and dismissed. The same goes for any the competences and members of any other entity you wish to endow your firm with. Furthermore, you should take into account that if your firm will have more than 15 Shareholders, it is obliged to institute a Revisory Board (art. 32 par. 6 of the Law on OOOs). The members of this Revisory Board are not allowed to be the same people who are members of the BoD or are the Executive Member. If there will be only one Shareholder, you will not need to organize a Shareholders’ meeting. If there are going to be multiple Shareholders, you have to organize a Shareholders’ meeting (Meeting of Founders) appropriately and draw up minutes of this meeting. Which questions should be voted on at this meeting? To determine the total amount of Charter Capital of the Company (minimum 10,000 rubles) and how much of it belongs to each Shareholder. It is possible to pay the Charter Capital not in money, but in a non-monetary way. In this case, the contribution to the Charter Capital needs to evaluated by an independent appraiser. То adopt the stamp of the Company. Until a couple of years ago, it was compulsory for a Russian OOO to have a stamp. Even though this is no longer a formal obligation, in practice it is very hard to do business without one because all kinds of official forms still require the company’s stamp. 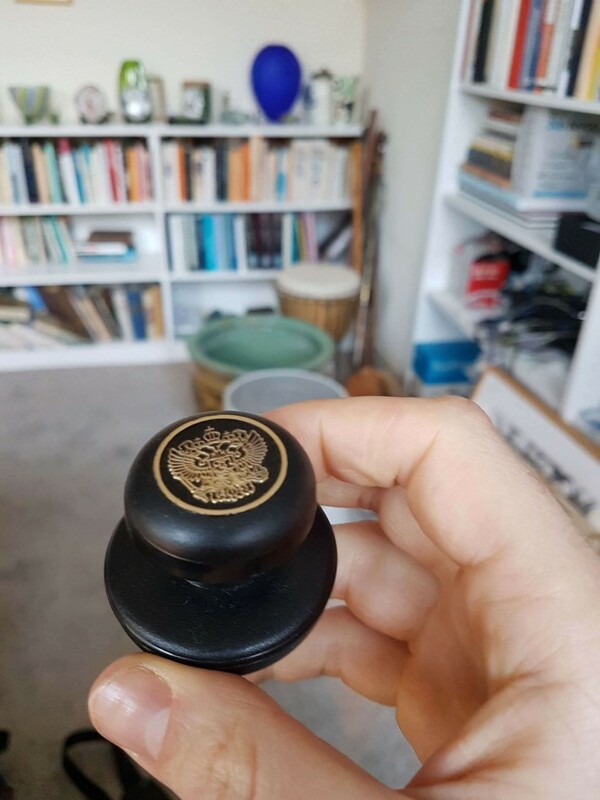 This is the manual stamp of Van Rhijn & Partners. To determine in which term and by whom State Registration of the new Company should take place. The Charter Capital should be paid within 4 months after State Registration of the Company. If one of the Shareholders doesn’t pay for his share, this share will be transferred to the Company itself, in accordance with art. 16, par. 3 of the Law on OOOs, and the former Shareholder will lose his rights as a Shareholder. It should be filled in with capital letters only, in black colour. If you complete the form on the computer, you should use the font Courier New, size 18. You should only file the pages of the form that you need to fill in. You should number the pages you fill in. Pages should be printed only on one side. And for each field, there is a specific way it needs to be filled in. If one of the Founders of the Company is a foreign legal person, it is important that notarized copies of its Charter and an extract from the Trade Register of its country of incorporation are sent to Russia so that they can be translated here. As you might be aware, foreign names can be transcribed into Russian in several different ways. It’s important that the entries in form Р11001 exactly match the translation of the documents. 4.2: Who is going to sign the application? If the Founder is a natural person, he can sign the application. If the Founder is a legal person, the Director of this legal person should sign it. If there are several Founders, just one of them has to sign the application (however, information about all of them needs to be included in the application). The signature on the application should be either notarized by a Russian notary or by an employee of the Tax Office (only if the Founder himself goes there to file the application). It is not possible to let someone else sign the application on the basis of a PoA. So, if you live abroad and want to found a company in Russia, you will have to come to Russia! 4.3 Who will file the Application with the Tax Office? The application can be filed by any person who is authorized to do so, on the basis of a PoA. It is also possible to send the documents to the Tax Office by post to file the application, but I would not recommend doing it this way Chances that something goes wrong are high. One copy of the Charter with a stamp from the Tax Office on it. The other copy will be kept on file at the Tax Office. In case your primary copy gets lost, you can request the Tax Office to issue a duplicate. But, as of 29 April 2018, the tax authorities will no longer issue original paper documents after successful registration of an OOO. These 3 documents will be sent to the e-mail address of the entrepreneur. The only paper document that you can still receive as proof of registration from the tax authorities is confirmation that the electronic items are genuine. This document must be applied for separately. Because documents will only be available electronically, it is even more important than before to indicate your e-mail when registering the company. Failure to do so will now result in refusal to register the company. 4.5 What if everything’s not correct? In this case, you will receive a Refusal of Incorporation. The grounds for refusal are limited and are mentioned in art. 23 of the Federal Law On State Registration of Legal Persons and Individual Entrepreneurs. At the Tax Office, you can ask for an explanation. In practice, you might, however, get a refusal that is not contained in this art. 23. In this case, it might be preferable to just change your documents according to the wishes of the Tax Office and file the application again. Even though you think you are right, to get into a dispute with the Tax Office and prove in court that you are right is probably not worth your time, money, and effort. You think the hardest part was behind you? This might not be the case. After your Company has been incorporated in Russia, you can open an account for it with any bank in Russia. In theory, that is. In practice, many banks in Russia are incredibly picky about who they want as a client. And even though they will not outright refuse a legitimate client who has his documents in order, they might just pretend to be looking vigorously at compliance matters. I have literally seen this going on for over 10 months. On one occasion, I met the management of a big international bank that is active in Russia and brought up this issue with them, and they admitted to me that, yes, they only want clients that fit their portfolio, but they are not allowed to refuse clients because they are not a good fit. So, go figure. Unless you are a big international company, it might be better to not go with your first choice bank. Other banks will be happy to have you as a client and will open an account for you without major headaches. If you really want to stick with your main bank, but you also want to start business as soon as possible, it might be a good idea to open a “temporary account” with a bank that is more client-focused while you also start the process with your bank of choice. We have a lot of experience with both international banks in Russia and with completely Russian banks and are always happy to give you a recommendation on this matter. So, that’s basically it! I hope you found this information useful. 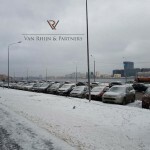 Van Rhijn & Partners’ experts are ready to assist you with setting up your business in Russia. Contact us for a fee quote or to ask any question you might have.